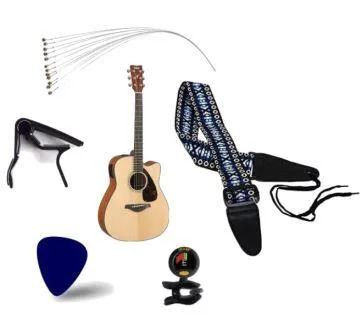 When you first start playing guitar there are a few things that you’ll need to get going. Some are obvious and not so obvious. Some are essential and some are nice to have – some may not be essential but are highly recommended for effective and efficient and enjoyable learning. This list will cover the things you need to get started playing guitar and categorize them as “essential” “nice-to-have” and “highly recommended”. These are what I would consider as essential to start playing guitar. This sounds obvious, and it is, but, believe it or not, some people do try to start playing guitar without one. They just use the guitar that’s at the lessons they are going to. This isn’t a good idea – your lesson is teaching you things, but you need to practice those things that are being taught – and you won’t have time during your lesson to do that. Getting a guitar is the most essential thing you need to do when you’re starting out. But should you get an electric or an acoustic guitar? There’s a lot of debate about whether an electric or an acoustic is the best way to start playing. There are arguments for both. An electric guitar is physically easier to play – there is less force that is needed to make a note sound clear. They also have thinner necks. But they tend to be heavier, harder to play sitting down and, unless you also buy an amp, you won’t get a lot of satisfaction in terms of the sound it’s producing. The average acoustic guitar might be slightly harder to play, but there are things you can do to make it easier – like lowering the action, getting more beginner friendly strings and getting a guitar that’s smaller or with a slimmer neck profile. Some say just go with whichever style of music you think you want to learn. Whichever you go for, make sure you have a guitar – that’s the essential thing – “I’m in the start with an acoustic” camp – but if you think you’ll be more motivated starting with an electric guitar, then that’s definitely better than not having one at all. You should get picks – even if you like the idea of learning finger-style, learning how to use a pick and the sounds you can get from a pick is essential to becoming a well rounded guitarist – acoustic or electric. For strumming it’s best to start out with a softer pick. For individual notes, a medium gauge pick will work better – try to have a few different types around and make sure to get plenty of them, as you’ll likely loose some along the way. They’re inexpensive so they’re something you can get lots of without breaking the bank. Being in tune is not just about making your learning process easier on the ear and on the ears of those within earshot of your practices – it’s also essential to proper learning. If you’re learning something and it sounds bad, you need to know that it’s because you need to make an adjustment to the way you’re playing it – and not just because you’re not in tune. Get a tuner and make sure you’re in tune before every practice session. Yes, it’s a good idea to learn to tune by ear as well – but getting a tuner will ensure you’re in tune when you’re learning. You will inevitably break strings, so it’s a good idea to have a spare set on hand. 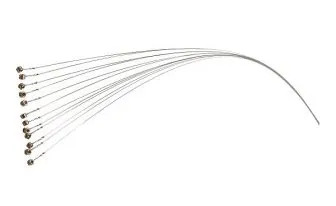 But the other thing with strings is to have strings that are beginner friendly – this will make the learning process easier both technically and physically (in terms of finger soreness and the pressure you need to apply to the string). This is why I have put this in the essential list – yes, it’s probably more highly recommended but it’s very highly recommended. The other thing about getting new strings is that if you get a decent set of strings, they will likely sound better than the ones that came with the guitar, assuming you’ve bought a relatively inexpensive guitar. Whichever way you decide to learn, you’re going to need some sort of instruction, whether that’s getting lessons from a friend, following a book, watching videos on you tube, getting proper in-person lessons or proper online guitar lessons. There are good and bad ways to go about it, but whichever way you look at it, you’re going to need something to show you how to play. These are what I would consider to be highly recommended. You don’t absolutely have to have them to start playing guitar, but they’re going to make your guitar practice more effective and will help you to progress on the instrument much more quickly. Whilst you could just start reading a how to learn guitar book, or watch videos on you tube – or get your friend to show you some things, that’s not the most effective or efficient way to learn. Getting proper structured lessons, whether online or in-person, is very highly recommended. Whether you go online or in-person will depend on your own particular situation. There are pros and cons for both. You can of course play and learn guitar without a metronome. However, if you practice with a metronome, it’s going to go a long way to ensuring that you play with good rhythm. This is going to be particularly useful if you ever plan to play with other musician’s whether as part of a duet, a band, an orchestra or even just having casual sing-a-longs. Even if it’s just on your phone, if you can record yourself playing it can give valuable insights to how you play and what you need to improve on. Because we are so concentrated and in that moment when we’re playing, we don’t always accurately hear how it sounds. Recording and playing back can help us to pick out errors that we weren’t noticing and areas that could be played better. Finally, we have the nice-to-haves. These aren’t necessarily essential for everyone and some won’t be needed straight away but you might want to have them for later on. 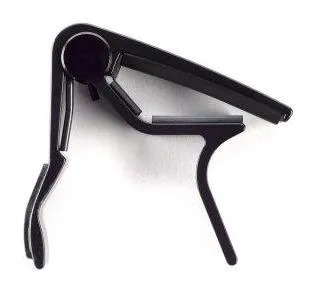 A capo is a handy device and is sometimes essential for playing certain songs. You certainly don’t need one to get started, but it’s handy to have one for when you come to that song you want to learn that requires a capo. Again, not needed to get started, but a music stand makes it much easier to have the music that you’re learning in front of you to look at. You can keep it on your lap or something like that – but it won’t be as comfortable or as easy. A guitar stand makes it easier and safer to store your guitar. Yes, you can put it away in it’s case every time – but that becomes a psychological barrier to playing. If it’s right there on the stand it’s easy to pick up and start playing. Of course, you could just lean it up against the wall – but that’s not the safest way to keep your guitar. A guitar case is great to have, especially if you are going to be travelling with your guitar (whether that’s to travel to a lesson, to take with you on holiday or to a friends house for a jam session). This will help to keep your guitar protected. If you plan on playing standing up, then you will need to get a strap. It also pays to get a strap lock to make sure that the strap stays attached to your guitar. Thanks for reading and I hope this post has helped you to know the things you’ll need, the things that are highly recommended and the things that are nice-to-have, for when you start to play the guitar. Acoustic vs Bass Guitar: Which is better for Beginners? Sixstringacoustic.com is a participant in the Amazon Services LLC Associates Program, an affiliate advertising program designed to provide a means for us to earn fees by linking to Amazon.com and affiliated sites.